Our research into Holton-Arms School, a school in Bethesda, Maryland, for girls in grades 3 through 12, revealed this: there’s something special about a Holton girl. 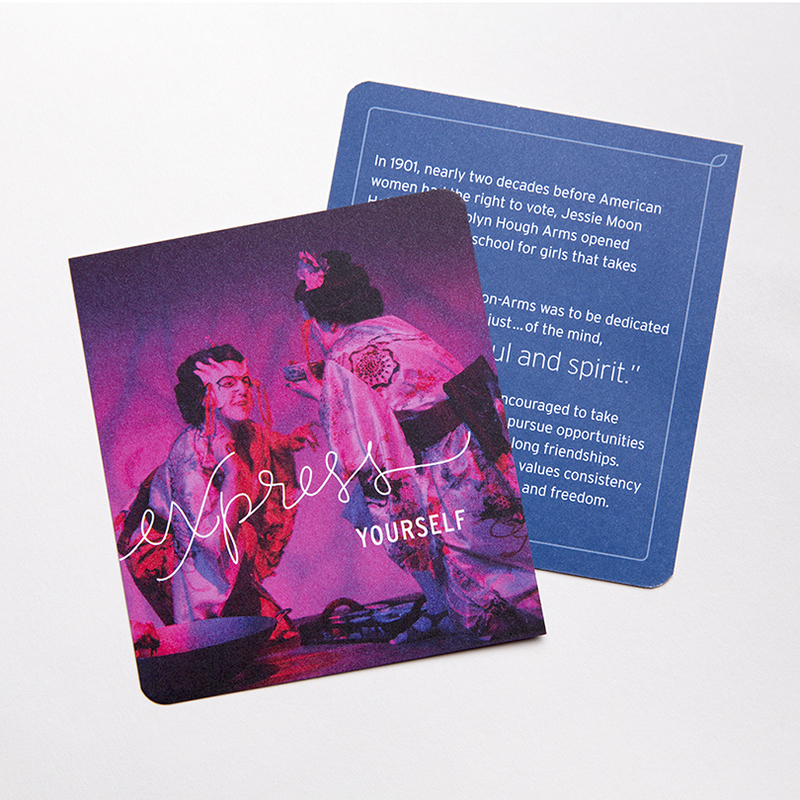 The “Holton girl” became the organizing theme for a new suite of admissions communications, which included an innovative pop-up brochure and a deck of cards linked to the school’s distinctive, eclectic, and at-times quirky nature. Catalone Design has also worked with the school to develop its graphic identity and annual fund and capital campaign communications.